The Millennium Foundation Kosovo (MFK) concluded today the information sessions tour for the scholarship program “WE / Women in Energy”, in Pristina. Through this program, 25 Kosovar women and girls will be able to earn 2-year scholarships in Iowa and other accredited colleges. Burim Hashani, MFK Energy Director, at the opening of the information session presented the MFK’s approach to reducing gender inequality in the energy sector through various projects. 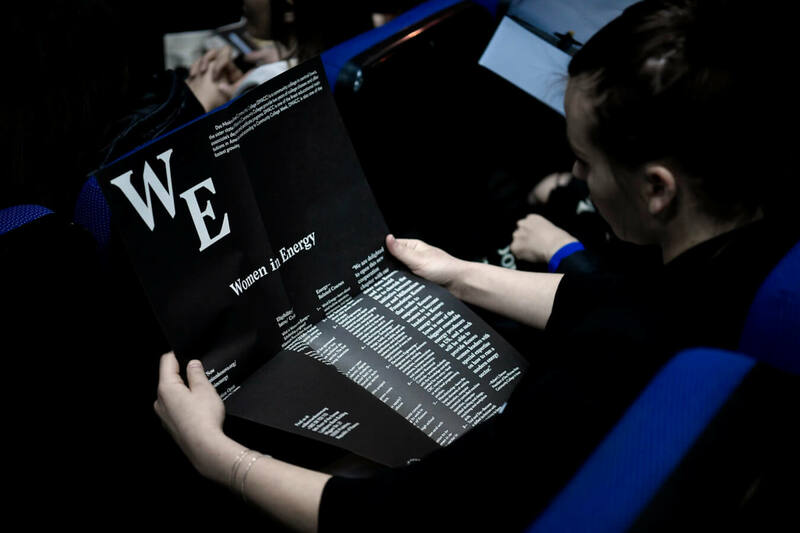 The WE / Women in Energy scholarship program, he said, is a program that aims to address an alarming issue in the energy sector in Kosovo – low participation of women in this sector. The program will support women and girls to advance professionally and facilitate the process of finding work in this sector. Meanwhile, for the upcoming program for women entrepreneurs, Hashani said that this program will aspire to assist women in reducing the cost of their entrepreneurial activity by reducing the cost of energy. Kevin Mitchell, MCC representative, presented the ‘Threshold’ program by MCC for Kosovo and focused on the worrying results from the labour participation survey. Mitchell said one of the desires of this agency is to increase women’s participation in the energy sector. He said that this chance to study in the US enables women and girls from Kosovo to advance their professional and personal lives, as well as return Kosovo to contribute to further economic development. As always, Gresa Statovci, scholarship consultant at MFK, presented the information about the scholarship application process at DMACC, Iowa. She completed her session by sharing her personal experience as a scholarship alumna in the US, encouraging the women and girls in attendance to use this opportunity for professional development. The period for applying for a full scholarship for professional advancement in the energy sector remains open until 7 April 2019. Details about the application process can be found on the Millennium Foundation Kosovo website (https://millenniumkosovo.org/) and MFK’s social media. The information tour in the municipalities was organized in cooperation with the non-governmental organization ARDA-RDA.